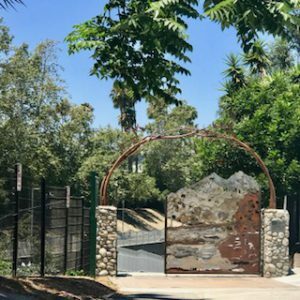 Home→Uncategorized→Greenway Trail in Studio City – Hit or Miss? 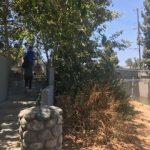 Greenway Trail in Studio City – Hit or Miss? Studio City is a favorite neighborhood in Los Angeles and recently made news by unveiling a new walk-bike trail along the Los Angeles River. 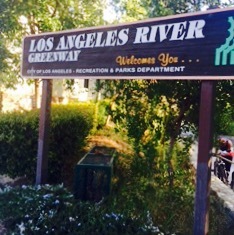 The LA River runs right through Studio City. 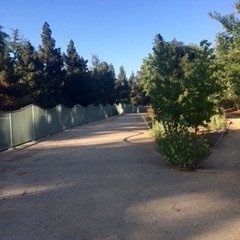 So, why not create a newly paved walkway, a hand crafted gate and beautiful greenery, for all to enjoy? 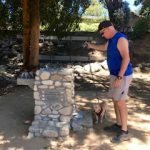 Named after a county supervisor, the trail is called The Zev Yaroslavsky Greenway Trail in Studio City. Is it a hit..or a miss? 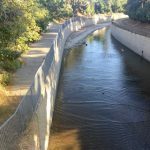 Have you even heard of the Los Angeles River? It’s a very beautiful river..not really. This river is actually a concrete flood control channel or waterway. 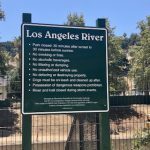 The river starts at the Santa Susanna Mountains in Similar Valley, through the San Fernando Valley and goes all the way south to Long Beach. I’ve blogged about some areas along this concrete river. Some spots have nice walkways, bikeways and great bird watching. 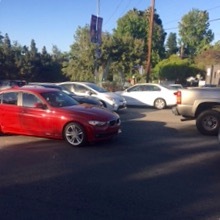 Some spots have moderate traffic, some areas have no traffic at all. Honestly, it’s a tough sell. A concrete river? 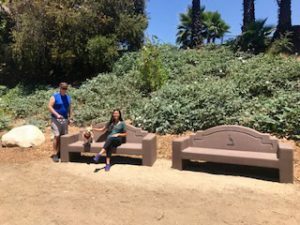 My family decided to check out this new greenway in Studio City. Since there was much media attention and a big grand opening, we were curious. 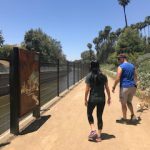 We’re always excited to try new trails and It was close to our house, so off we go..
We set out on a warm day to check out this trail and found the spectacular gate that takes you to the walkway. Luckily, we did find shade along the trail immediately! 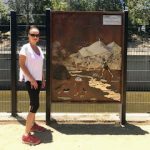 This walkway apparently “bridges the gap” along the LA River Trail, with a 4 mile loop. 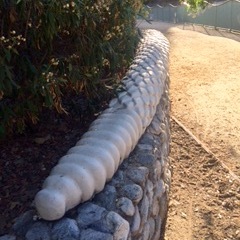 However, we soon found an issue with this Los Angeles River Greenway. There are major streets that cross this greenway. 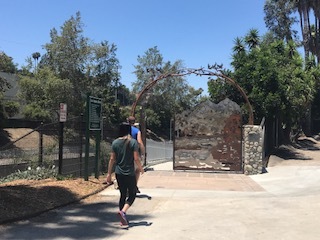 The trail starting from Laurel Canyon Blvd to Whittset Ave. to Coldwater Canyon Blvd to Fulton Ave. have no crosswalks or bridge for you to get across. 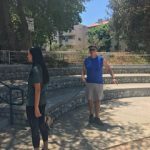 You’ll have to walk up or down a street and walk back to the trail or you can jaywalk across the streets. Scary! However, there are lots of trees and plants along the greenway. 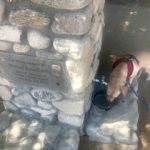 There are water fountains for people and for dogs. There are doggie bag dispensers, too. From Whitsett all the way to Fulton, the greenway is lovely. This area considered to be a park. Besides not having crosswalks for the trail, it’s really enjoyable. 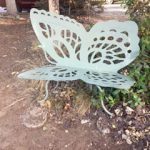 There’s wonderful metal artwork and benches along the way, too. 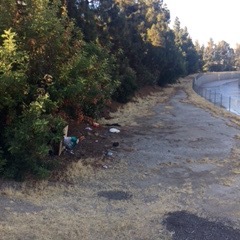 However, the trail off of Laurel Canyon Blvd is sketchy with homeless and a lot of trash. The walkway is broken up and it looks like its not really meant for anyone to walk on, but there is artwork in this area. 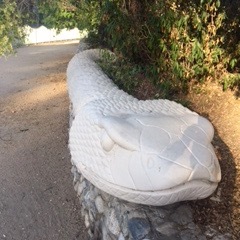 I found some of the art to be strange and a snake sculpture that I thought was creepy! We never walked the whole 4 miles, simply because it was too difficult. 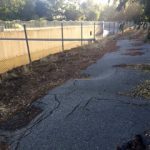 The best part of the trail is from whitsett to Fulton. We did have to jaywalk to get across, which was dangerous. We walked a total of 2 miles and we walked alone most of the way. 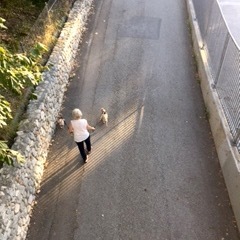 We saw only a few people walking their dogs. We didn’t see families walking or biking. 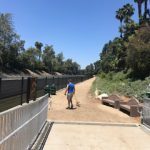 All in all, part of the greenway is nice for locals to walk their dogs or take a side stroll to a restaurant or store on Ventura Blvd, but it’s not a destination to go to for a hike. I’m not sure this trail is a miss. It’s nicer than before. If I lived across the street, I would walk my dog & I would go for a short run there. It’s not a hit, either. I wouldn’t go there at night. I can’t imagine many families visiting here. Homeless are visible, so it may not feel safe. No crosswalks makes it difficult for me to recommend, too. 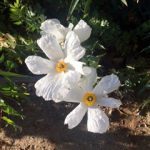 If you’d like to check it out for yourself, start at 12305 Valleyheart Dr, Studio City, CA 91604.